Pros : Love the shapes and the size of the mold. Great alternative to cutting fusing glass for earrings and pendants. As others have said, the glass removes easily fromt he molds with primo kiln wash.
Cons : No instruction on how much glass to put in the mold for desired effects. Would have been nice for some product suggestions for first time users. I need to spend some time on the net to see what others are doing with this mold. 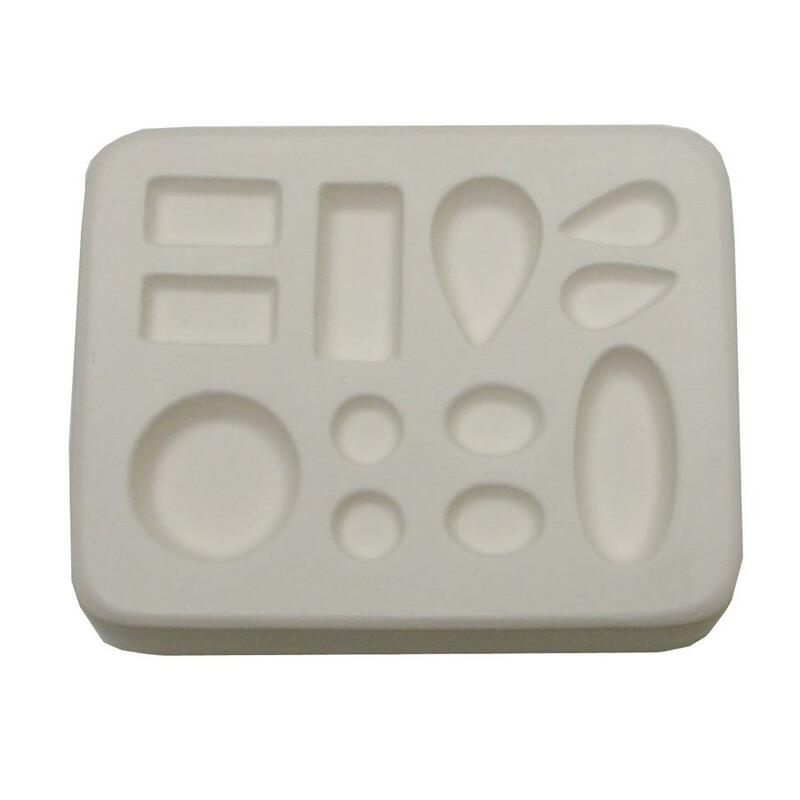 Other Thoughts : Honestly I can get the same shapes with fusing and grinding pieces, not sure that I need the mold. Thought that it might speed up my production of jewelry pieces, but I have really only used it once as I wasn't satisfied with the final product. I will give it another chance. Pros : I love this mold . It's in constant use at my studio. My students also enjoy using it. I need to order more. Other Thoughts : It makes small cabochons but that's what I wanted. The circle and oval are my favorite. Pros : Small and easy to use. I used 4 coats of kiln wash and had no trouble getting pieces out of the mold. Cons : Too small. Round, oval, and teardrop earrings are too small for a bail. I was wanting larger pieces. Other Thoughts : Not worth the money. Would spend money on larger specific shaped pieces like tear drops.